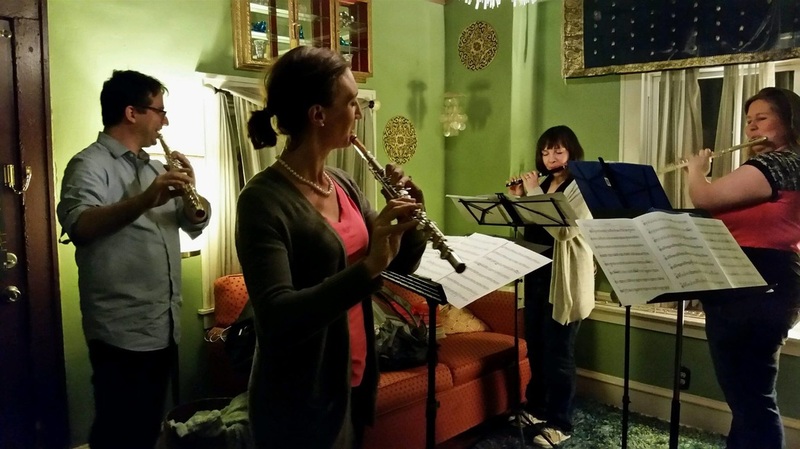 Our Mission is to build audiences for new music and perform recent works for flute ensemble. Carlos Feller received his Doctor of Music degree from The Florida State University. He also holds a B.M.. from The School of Music and Fine Arts of Paraná - Brazil, and a M.M. in flute performance from The University of Southern Mississippi. Feller was prizewinner in competitions such as the William T. Gower Concerto Competition at USM, performing the J. Ibert Concerto for Flute and Orchestra, state and regional rounds of the Music Teacher National Association, the Flute Society of Kentucky Young Artist competition, and selected to perform at the NFA Young Artist competition in 2011. An enthusiast of new music for flute, Feller performed at the International Computer Music Conference in New Orleans, at the International Michel Debost Composition Competition in Curitiba-Brazil, and at the XV Biennial Festival of New Music at Florida State University. 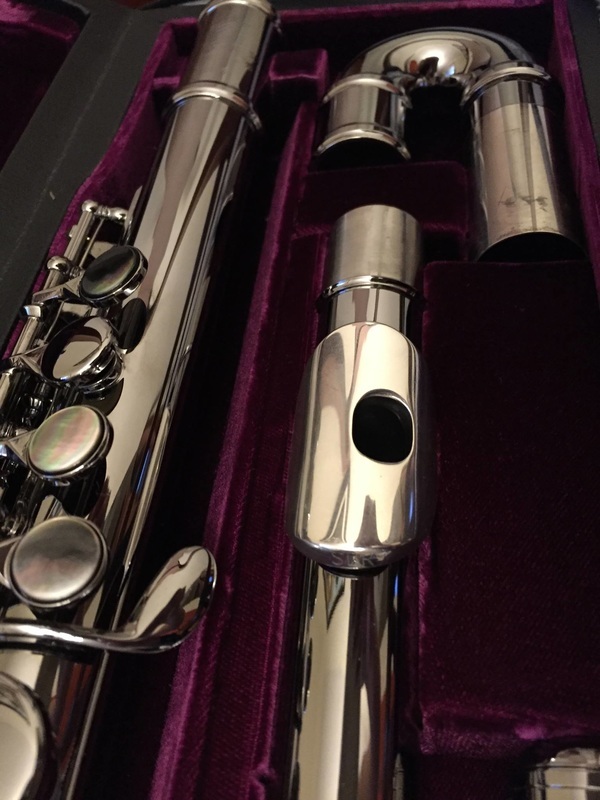 Dr. Feller is an adjunct instructor of music at Oklahoma Baptist University, where he teaches Flute, Music Theory, Woodwind Methods, and adjunct instructor of flute at Southeastern Oklahoma State University. Karen McLaughlin Large joined the Kansas State University music faculty in 2011 and teaches flute, music theory, flute techniques, world music, and directs the KSU flute ensemble. Dr. Large earned her Doctor of Music degree as well as graduate certificates in Music Theory Pedagogy, and College Teaching from the Florida State University where she studied with Eva Amsler. Dr. Large is a founding member of Tornado Alley Flutes and Traverso Colore: Baroque Ensemble and performs with them throughout the U.S. She is also a member of the Florida Flute Orchestra, performing on the Sub Contrabass flute in the G-one of only a few such instruments in the world. She has performed with several Florida orchestra and most recently, she was a winner in the National Flute Association 2013 Convention Performers Competition, performed in six concerts at the 2013 NFA Convention, performed in a recital at the 2013 International Double Reed Society Convention, and played with the Konza Wind Quintet at the International Clarinet Association's 2012 ClarinetFest. Dr. Large is the creator of the Virtual Flute Choir. Some of her other research interests include affective (emotional) responses to music, the role of musical analysis in performance, and baroque flute performance practice. 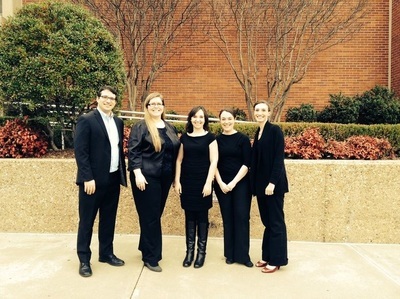 Elizabeth Robinson teaches music appreciation and music of the world at Kansas State University. She holds a Doctor of Arts degree from Ball State University, as well as degrees from San Francisco State University (MM) and Drake University (BM). Her major instructors have included Dr. Mihoko Watanabe and Linda Lukas (San Francisco Symphony). 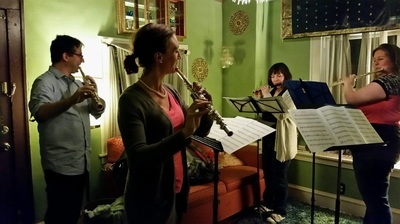 Her dissertation, Voice, Itinerant, and Air: The Solo Flute Works of Toru Takemitsu, won the 2012 NFA Graduate Research Competition and was presented at the 2012 NFA Convention. 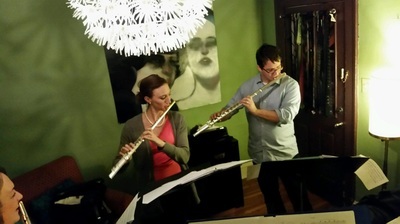 She is a member of Tornado Alley Flutes and a founding member of the Flute New Music Consortium, which is a commissioning organization formed in 2013.